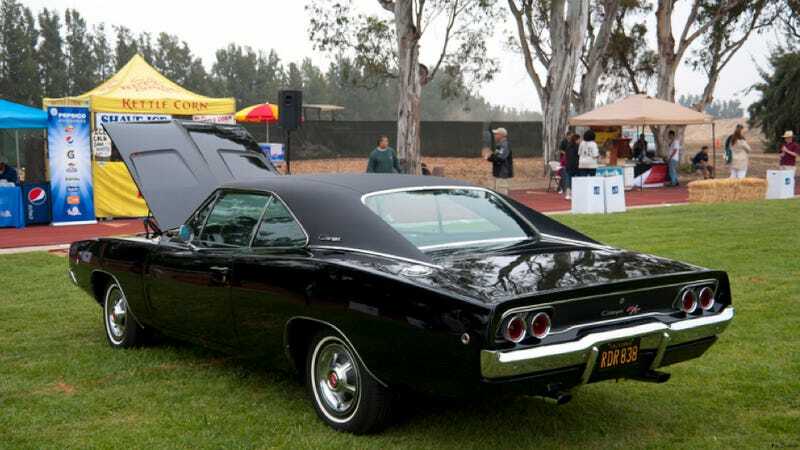 Would You Pay A Cool $1 Million For The Dodge Charger From Bullitt? It may not be a dark green Mustang, but this is your chance to own a piece of history from the legendary Steve McQueen flick Bullitt. As long as you're prepared to pay a million dollars for it, anyway. Everyone knows Bullitt, right? That famous 1968 movie about... um, a car chase. And also crime. But mainly an insane car chase on the mean streets of San Francisco, probably the greatest one ever filmed. Up for grabs on Hemmings is one of the two surviving 1968 Dodge Charger R/Ts that chased down Det. Frank Bullitt's Mustang in that famous pursuit. This one only has 62,000 miles on it, and features a 440 V8 with a four-speed transmission. It's since been restored since it starred in the movie and now it could go home to a serious enthusiast. But is it really worth $1 million? I could see McQueen's Mustang going for that much (or more), but I feel like that's a bit overblown for the Charger. Anyway, you guys decide. Nice price or crack pipe for this bad boy?